Are you tired of being told where you can and can't shop? Do you like Eileen Fischer and White House Black Market, but are bored with the silhouettes and trends that are deemed "age appropriate?" Scrap that mentality and increase the circle of brands you shop in. 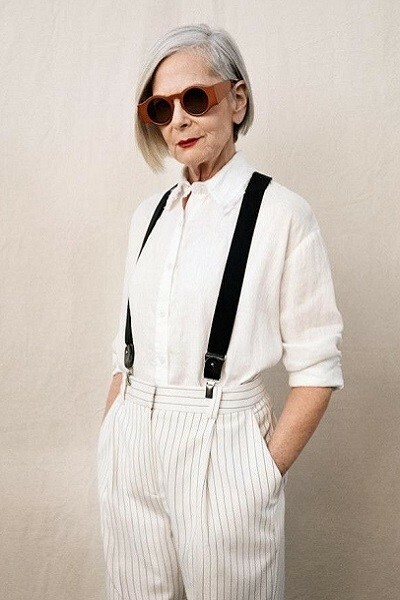 There are plenty of millennial stores you're not too old to shop in, because there is no age limit when it comes to fashion. Granted, not everyone wants to wear a bellybutton-skimming crop top or a sheer dress that will give the Spanx situation away, but those aren't the only styles available in those shops. Brands like Uniqlo, Zara, and Eloquii offer fashion-forward pieces that a woman of any age would look fabulous in. Many of their collections transcend age and give shoppers plenty of choices when it comes to playing with their wardrobes. Just a quick look at Zara shows they have pieces like '80s inspired power suits, bias-cut chiffon dresses, and low block heel sandals. You can be 22 or 72 wearing beautiful wardrobe staples like those! If you're ready to explore your aesthetic to the fullest, click ahead to be introduced to 30 millennial stores you will want to shop.